Do not burden yourself with depressing thoughts, do not get anxious about future events that may never happen, do not dwell on things that are well in the past. All of these emotions dissipate the brightness of Shen (Heart Spirit). If we over-extend our Heart we will harm its Qi. If this happens, Jing (Kidney Essence) will also suffer damage, and the Shen, consequently, will lose its residence. Doctrines of both Confucius and his student Mencius taught to refrain from striving, inflexibility, egotism, self-righteousness, expectation, and the use of force at any level. Even though both masters never said much about medicine, the art of nourishing the Spirit and Essence was understood. Wu Wei is a common truth in Taoist Chinese practices that can help to preserve this interdependent relationship between the Heart and the Kidney and show the path of Tao. An understanding of Eastern philosophy benefits us today as much as ever. The ‘causality’ approach to life is very often an anathema to the timeless Tao (or Way) of the Universe. Countless scenarios play out before us that we become compelled to change. Do we engage in interactions through which we intend to prevent, prepare, or secure an outcome? Any force-of-will moves to create specified responses to our desires. Whatever must be asserted and managed is necessarily skewed to a particular perspective and liable to subsequent folly. Taoism values balance, receptivity and emptiness. Many problems arise from re-acting, striving and controlling. A Taoist pivot is active in cultivating a sense of awareness of the ways of the universe and one’s part herein. Cultivating a state of being that flows and responds with minimal action for our efforts reflects Wu Wei. This is not an expression of laziness or a lack of interest, but rather effortless efficiency. 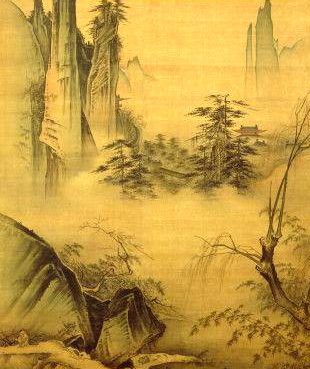 Guided by elemental rhythms of the natural world as well as supernatural and alchemical influence, a classical Taoist finds an earthly pivot in Wu Wei. Letting all things play out, not engaged by will and ego, but keenly observant of an authentic progression of every moment is Wu Wei. We are neither caring nor uncaring and yet Wu Wei does not imply overlooking those who are afflicted. Wu Wei may be considered an experience of one’s life path that is clear of wrote emotional reactions favoring a pivot where one acts rather than reacts and one allows rather than resists changes. Our progress occurs naturally when we act in harmony and seek no progress at the expense of our genuine devotion to the ways of the Sage. Correcting our own thoughts, attitudes, and actions sets a course for wholehearted improvement. Action by non-action thereby allows an evolution to take place instead of revolution and conditions that might further extremes. The Taoist path of Wu Wei is neither difficult, nor easy. By observing and simply ‘being’ we come to sense the natural and the super natural and align with the way or Tao. Mirroring the universe we become whole. Our experiences and interests in the outside world become synergistic and complete. “Cherish the people and order the kingdom, and you can do without meddlesome action.” “If kings and nobles could but hold fast to this principle, all things would work.” Remember, these ideas are most valuable when they are absorbed slowly and applied loosely to everyday life.